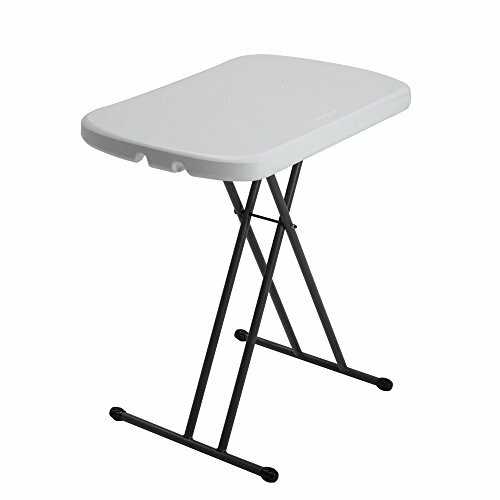 The Lifetime 26-Inch Laptop Table TV Tray is a versatile table that can be used for all occasions. Constructed with high-density polyethylene and designed for strength and stability. This table features three adjustable height settings from 21” to 26” for convenience. The steel frame design folds flat for easy storage and is protected with a powder-coated, weather-resistant finish. Built for indoor or outdoor use so that you can use this table anywhere! View More In Office Furniture & Lighting. If you have any questions about this product by Lifetime, contact us by completing and submitting the form below. If you are looking for a specif part number, please include it with your message.